A native of Dongola, Illinois Ray W. Fuller earned his B.A. in Chemistry and M.S. in Microbiology from Southern Illinois University at Carbondale in 1957 and 1958. He earned his Ph.D. from Purdue University in 1961. After receiving his Ph.D., Dr. Fuller spent the next two years at the Ft. Wayne State Hospital, Ft. Wayne, Indiana as Director of the Biochemistry Research Laboratory. He then joined Eli Lilly Research Laboratories where he conducted the research on brain chemistry over a period of sixteen years. This eventually led to the discovery of Prozac, an antidepressant. Prozac was marketed by Eli Lilly in 1988 as the first in a new class of antidepressants, selective serotonin reuptake inhibitors. Prozac had fewer side effects than the tricyclics, and many psychiatrists said the drug revolutionized the treatment of depression. Dr. Fuller also accomplished many other outstanding scientific achievements. He became a Lilly Research Fellow in 1989 and an adjunct professor in neurobiology at The Indiana University School of Medicine in 1985. He received two honorary doctors degrees, one from Purdue University and one from Southern Illinois University. Twice, he received the SIUC Alumni Achievement Award (1984, 1994). 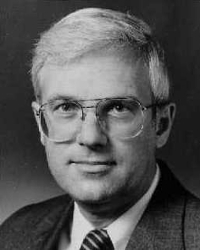 Dr. Fuller published over 400 scientific articles and served on the editorial boards of 12 journals.